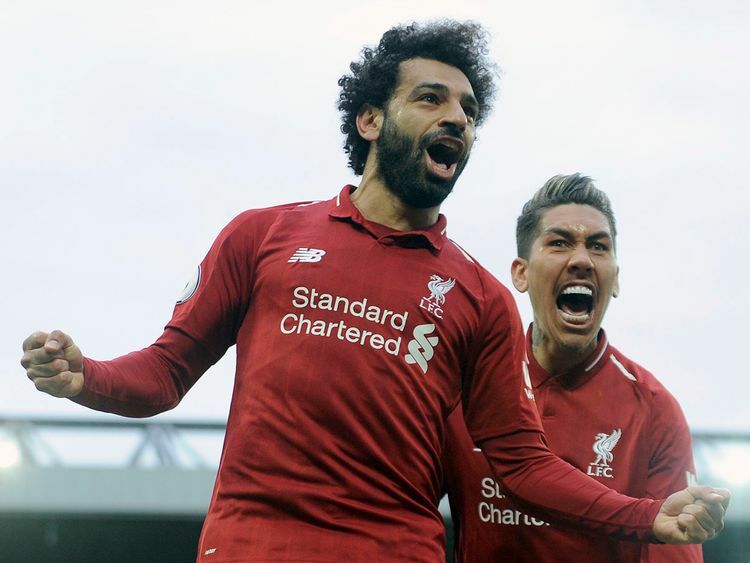 Liverpool: Liverpool moved back top of the Premier League in dramatic fashion as Toby Alderweireld’s last minute own goal beat Tottenham 2-1 at Anfield on Sunday. Jurgen Klopp’s side move two points clear of Manchester City once more at the top of the table, but still need City to slip up in their remaining seven games as the champions have a game in hand. However, Hugo Lloris could only palm Mohammad Salah’s header into the path of the unfortunate Alderweireld to condemn Tottenham to a fourth defeat in five Premier League games. Instead, Mauricio Pochettino’s men remain without a Premier League win since February 10. “We were a little bit unlucky to concede the second goal when we should have been ahead because we dominated Liverpool, who are a very good team,” said Pochettino. Liverpool were thankful again to Robertson at the other end as he made a vital block to prevent Christian Eriksen firing home on the rebound after Alisson Becker was forced into his first save of the afternoon by Harry Kane. When these two sides met at Anfield last season, Salah scored one his many goal of the season candidates amid an incredible 44-goal campaign. The Egyptian still has a respectable 20 this season, but only one of those has come in the last 11 games and he passed up a great chance to give Liverpool some breathing space when his shot was blocked by Alderweireld with Mane better placed and begging for a pass.